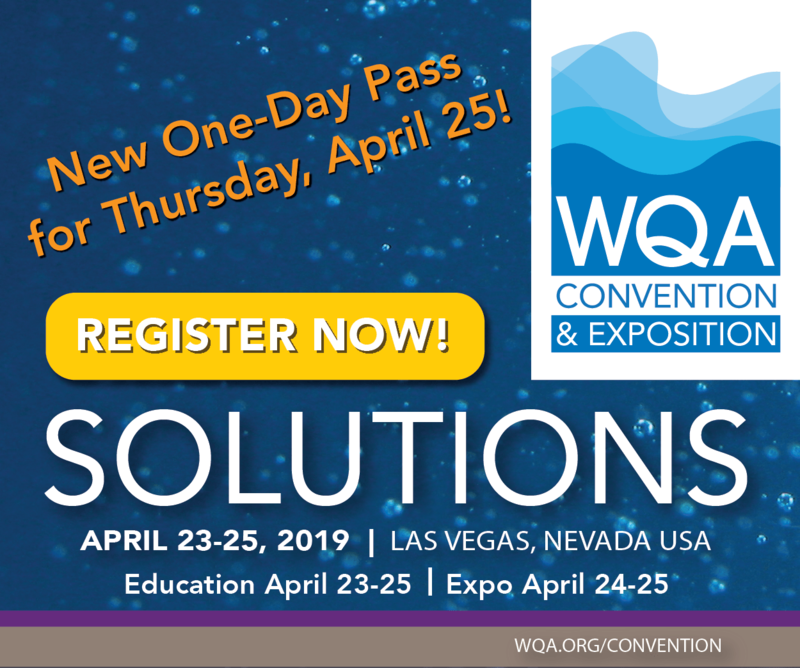 Coagulation is an essential chemical-driven process in water and wastewater treatment, as evidenced by widespread use of such technology in food/beverage production, remediation of mine tailings, petroleum refining and secondary treatment of drinking water. 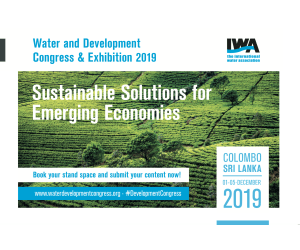 In rural communities and developing countries, coagulant-flocculant systems are used as an efficient POU treatment to improve water quality for human and animal consumption because suspended materials and contaminants are efficiently removed. 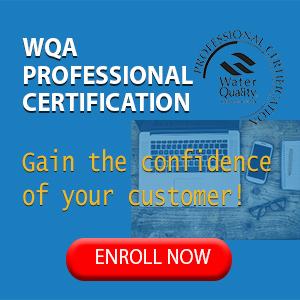 In spite of widespread use of coagulant and flocculant agents, there is a need to develop an improved understanding of their mode of action in order to better address water quality concerns and improve output efficiency of treatment processes, as well as develop improved types of coagulant-flocculant systems to address complex water treatment issues through a better understanding of the of the coagulation process. Coagulants and flocculants are chemical agents that promote aggregation and sedimentation of suspended particles in solution. 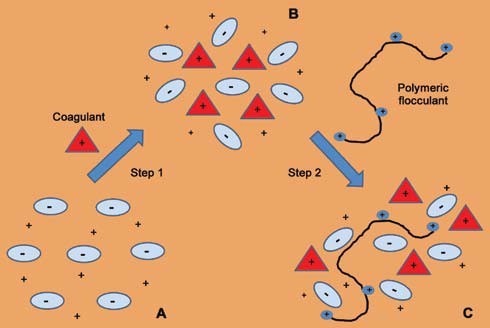 At first glance, coagulation-flocculation is a simple process; however, the destabilization of the suspended particles (colloidal species) requires an understanding of colloidal stability. 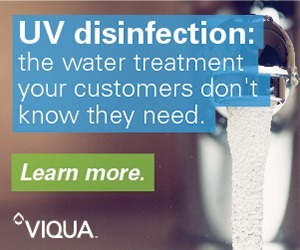 Many types of particles may settle out of water on their own over a sufficient period of time; however, this may take days or months depending on the particle size (from molecules to bacteria) and their relative colloidal stability. The destabilization of a colloidal system with an appropriate coagulant-flocculant enables formation of a floc network that facilitates solids removal by physical methods. A practical example of sedimentation in nature is noted by the formation of river deltas in estuaries. This occurs when fresh water laden with colloidal sediments mixes with salt water, causing destabilization due to electrical double-layer compression and resulting sedimentation. The role of ion species in salts illustrates the role of the chemical environment. Despite the widespread use of coagulant-flocculant systems, an understanding of their basic chemical behavior is required to address water quality problems concerning removal of dissolved or suspended solids. 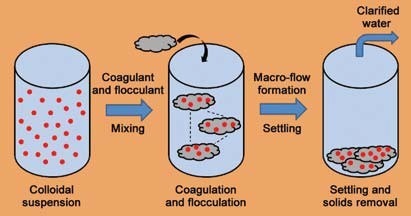 The coagulation-flocculation process involves three basic steps: mixing, coagulation and flocculation, as shown in Figure 1. Mixing time is generally less than one minute (referred to as flash mixing) to minimize breakdown of the floc into small suspended particles. After mixing, coagulation occurs due to charge neutralization, which allows fine particles to coalesce into larger particles (micro-floc). Flocculation involves the formation of a floc network which results from the clustering of the micro-floc into a more extended network (macro-floc). The formation of a floc network results in a dramatic reduction of the turbidity of the solution, since the floc contains chemical impurities, bacteria and particulate matter. Floc material may vary in size from micron (10-6 m) to nm (10-9) scale, where it may remain as a floating suspension to be removed by skimming or it may settle in the case of more dense particles suitable for filtration removal. There are several types of components of variable size (listed in parentheses) found in wastewater that can be removed using coagulation-flocculation methods: molecules (<1 nm), colloidal materials (one to 1,000 nm) and suspended solids (>1 µm). Molecular species may include salts, inorganic or organic compounds with variable water solubility. Colloids are very small particles that exhibit light-scattering phenomena, which is a consequence of their comparable size to the wavelength of light scattered. Colloids display unique physicochemical properties, such as high surface area, high interfacial energy and high surface-to-charge ratio. Three types of colloids are commonly encountered: hydrophilic, hydrophobic and association colloids.1 Hydrophilic colloids display a strong interaction with water and may be generally regarded as solutions of very large molecules (e.g., proteins) or ions; such suspensions are less affected by the presence of salts compared with hydrophobic colloids. Hydrophobic colloids interact less favorably with water but are relatively stable due to the presence of a negative or positive charge due to an electrical double layer (refer to the colloid denoted by species A in Figure 2). Thus, hydrophobic colloids, such as clay particles or petroleum droplets, can be destabilized by the addition of a salt (Step 1, Figure 2) due to compression of the electrical double layer. Association colloids are formed by surface active agents (e.g., detergents and polymers) that possess hydrophilic (water-loving) and hydrophobic (water-hating) domains. The formation of micelles (aggregates) may occur for association colloids at a particular concentration, referred to as the critical micelle concentration. Micelles are formed by cationic, anionic or non-ionic detergents and may vary in size from one to 100 nm, depending on the nature of the detergent. C represents a more destabilized colloid due to adsorption of a polymeric flocculant. The solvent and counter ions for the coagulant and polymeric flocculant were omitted for the sake of clarity. Inorganic minerals, organic pollutants, proteins, bacteria and microscopic plant life may exist as diverse types of colloids, as described above. 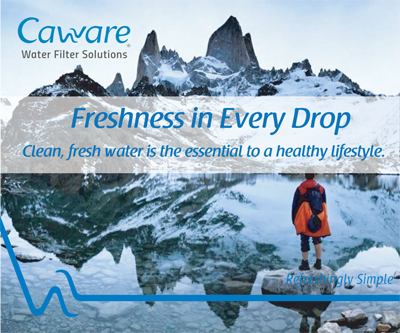 The colloidal stability of such systems plays a very important role in the quality of natural water and wastewaters. Suspended solids may be visible without or with a microscope and may settle over time, such as sand and silt deposits. 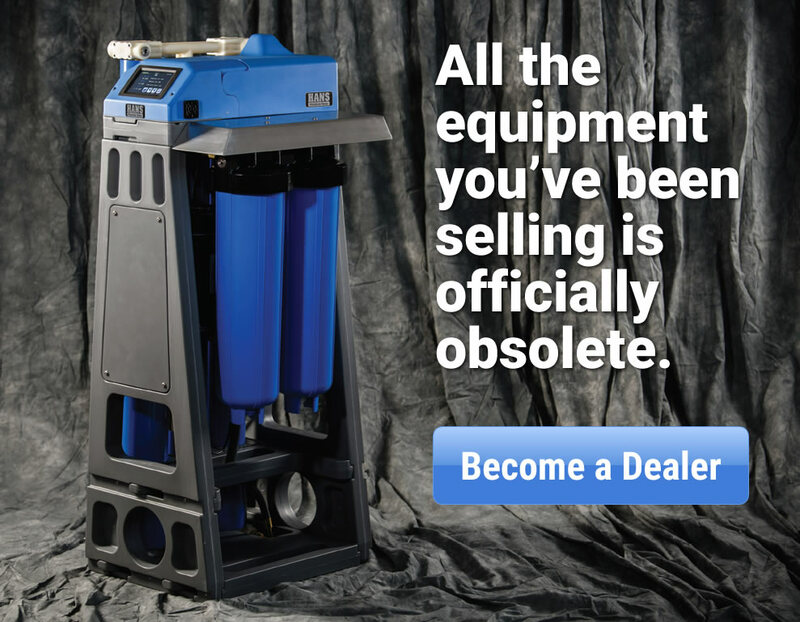 While it is possible to filter out suspended solids, molecular or colloidal materials cannot be efficiently removed using conventional filtration methods. Hence, the application of coagulation-flocculation methods is a versatile approach for addressing the removal of colloids and suspended solids for a range of water treatment applications. 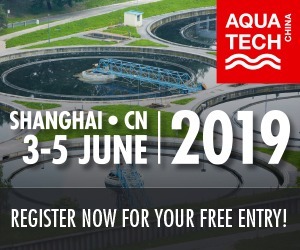 In water systems, many types of naturally occurring organic particles adopt a negative charge and the presence of surface charge on a particle strongly influences its relative stability. The science behind colloid stability and the efficacy of coagulation-flocculation processes strongly depends on the hydration properties and surface charge states of a colloid. The occurrence of a surface charge on a colloidal particle [i.e. positive (+) or negative (-)] determines whether attraction (+/-) or repulsion [i.e. (+/+) or (-/-)] occurs, according to the laws of physics. The addition of a coagulant or flocculant neutralizes the surface charge of a particle (zeta-potential), resulting in reduced repulsion among particles, changes in hydration and colloid destabilization. The lowering of the zeta-potential of the particle allows for more favorable inter-particle interactions and particle growth to form micro- or macro-flocs from the addition of a coagulant or flocculant to a colloid, as shown in Figure 2. The resulting floc settles out of solution as a solid phase that can be physically separated by conventional means (e.g., settling, filtration and skimming). Mineral-based coagulants are among the most widely used, such as alum (aluminum sulfate), lime [Ca(OH)2] and ferric salts [e.g., FeCl3 or Fe2(SO4)2], since such chemicals affect the thickness of the electrical double layer (adsorbed ion layer and counter-ion layer) by neutralizing the surface charge and hydration state of the colloid. Coagulation involves the reduction of this electrostatic repulsion between particles to allow aggregation to occur. 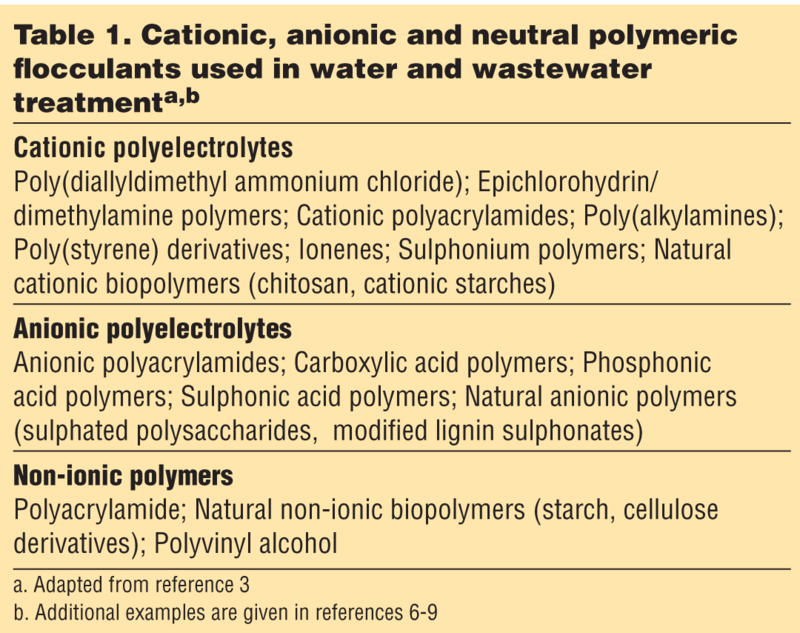 Flocculants are a class of bridging compounds (see Table 1) that exist as polyelectrolytes or as non-ionic polymer materials, as follows: anionic polyelectrolytes (e.g., polystryrene sulfonate, polyacrylate), cationic electrolytes (e.g., polyvinyl pyridinium, polyethylene imine) and nonionic polymers (e.g., polyvinyl alcohol). More recently, biomaterial flocculants have been examined such as cellulose, alginates and chitosan. In contrast to synthetic organic flocculants, plant-based materials are renewable feedstocks and offer several advantages over petroleum-based flocculants. For example, starch and non-starch polymers are biodegradable, renewable, shear stable, cost effective and relatively non-toxic. Flocculants facilitate growth of a floc by changing the surface charge and hydration characteristics of a colloid. They may alter the particle density and its mechanical stability during the formation of a floc network. The choice of coagulant-flocculant system depends on the quality (i.e. TSS, TDS, pH, COD, etc.) of the incoming water; however, the coagulation efficiency of the system depends on additional thermodynamic and kinetic parameters such as temperature, mixing and residence times, shear velocity and zeta-potential of the particles. Efficient floc formation occurs when the zeta-potential of the colloid approaches zero. This can be optimized by judicious choice of the nature and composition of the coagulant-flocculant system. Several factors that influence colloidal stability were outlined by Renault et al.3 and Norde5: polymer bridging, steric stabilization, hydration phenomena and temporal effects. In terms of thermodynamic stability, coagulation depends on several factors, such as pH, temperature, shear rate and the relative concentrations of coagulant, coagulant aid and flocculant. Many colloidal materials (such as mineral surfaces, macromolecules or bacteria) display colloidal stability with pH due to the presence of ionized groups at the surface. At some intermediate pH, such colloidal materials will possess the zero point of charge (ZPC), which implies no net surface charge (zeta-potential→zero), favoring aggregation of the colloid and floc formation. Thus, an adjustment of the pH below or above the ZPC value of a colloid will result in the formation of a positive or negative surface charge, respectively, and stabilization of the colloid. The use of alum in conjunction with base (lime) as a coagulant aide requires suitable mass balance in order to achieve hydrolysis of the aluminum species for suitable floc formation. The rate of mixing plays a role in coagulation efficiency and optimal time to allow for settling of floc networks. 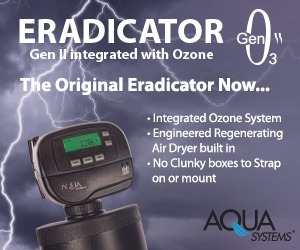 As mentioned above, the zeta-potential of the particulate determines its colloidal stability and one of the goals is to reduce the value to zero. In cases where the colloids possess higher zeta-potentials, a higher dose of the coagulant-flocculant is required to achieve colloid destabilization and sedimentation. Renault et al.3 provided an overview of the use of chitosan-based coagulation systems for the removal of fatty acids, humic acids, proteins, mineral colloids and dyes. Coagulation-based treatment of As (V) relative to As (III) inorganic species using conventional metal salts was reported as a suitable removal method.10,11 Other types of organic and inorganic coagulants include aluminum sulphate, polyaluminum chloride, polyaluminosilicate sulphate and many other polyelectrolytes.12 The use of alum as a coagulant is an interesting case study because of its unique hydrolysis behavior that leads to aluminum-bridged oligomers and higher polymers, which lead to efficient coagulation behavior via electrostatic interactions or surface adsorption with arsenate anions in water, depending on the solution’s pH conditions. 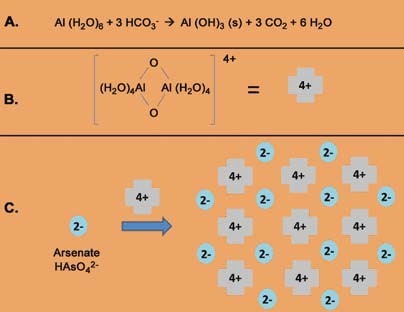 Figure 3 illustrates the diverse forms of hydrolyzed alum that contribute significantly to coagulation and adsorptive removal of oxoanion species, such as arsenate. In conjunction with multi-step water and wastewater treatment processing, coagulation-flocculation-based removal methods represent a versatile approach due to relatively low cost, scalability and efficacy over a wide pH range, according to the nature of the coagulant-flocculant system. One challenge is the minimization and utilization of sludge byproducts from coagulation-based treatment. The emergence of biomaterial-based flocculants offer new opportunities in water and wastewater treatment suitable for the effective removal of diverse colloidal materials from water and wastewater systems, while addressing sludge volume production. Manahan, S.E. Environmental Chemistry, 9th Edition, CRC Press, 2010, Chapter 5. Singh, R.; Nayak, B.; Biswal, D.; Tripathy, T. and Banik, K. “Biobased polymeric flocculants for industrial effluent treatment,” Materials Research Innovations, 2003, 7(5), 331-340. Renault, F.; Sancey, B.; Badot, P.M. and Crini, G. “Chitosan for coagula- tion/flocculation processes – An eco-friendly approach,” European Polymer Journal, 2009, 45, 1337-1348. Norde, W. Colloids and Interfaces in Life Sciences and Bionanotechnology, 2nd Edition, CRC Press, Boca Raton, FL, 2011. Singh, R.P. ; Tripathy, T.; Karmakar, G.P. ; Rath, S.K. ; Karmakar, N.C.; Pandey, S.R. ; Kannan, K.; Jain, S.K. and Lan, N.T. “Novel biodegradable flocculants based on polysaccharides,” Current Science–Bangalore, 2000, 78(7), 798-803. Pandey, S.R. ; Tripathy, T.; Panda, J.; Wan, K.; Jain, S.K. and Lan, N.T. “Biodegradable drag reducing agents and flocculants based on polysac- charides: Materials and applications,” Polymer Engineering & Science, 2004, 40(1), 46-60. Pal, S.; Sen, G.; Karmakar, N.C.; Mal, D. and Singh, R.P. “High perfor- mance flocculating agents based on cationic polysaccharides in relation to coal fine suspension,” Carbohydrate Polymers, 2008, 74, 590–596. Yin, C.Y. “Emerging usage of plant-based coagulants for water and wastewater treatment,”Process Biochemistry, 2010, 45(9), 1437-1444. Edward, M.A. “Chemistry of Arsenic Removal During Coagulation and Fe-Mn Oxidation,” J.AWWA, September 1994, pp 64-77. Hering, J.G. and Elimelech M. Arsenic Removal by Enhanced Coagulation and Membrane Processes, AWWA, Denver, 1996. Bolto, B. and Gregory, J. 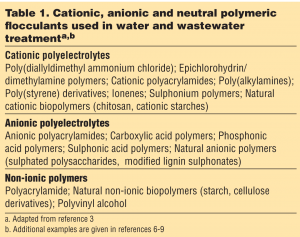 “Organic polyelectrolytes in water treatment,” Water Research, 2007, 41, 2301 – 2324. Hering, J.G. ; Chen, P; Wilkie, J.A. ; Elimelech, M. and Liang, S. “Arsenic Removal by Ferric Chloride,” J.AWWA, 1996, 88, 155-167. Logsdon, G.S. ; Sorg, T.J. and Symons, J.M. 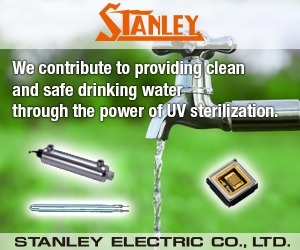 “Removal of Heavy Metals by Conventional Treatment,” Proc.16th Water Quality Conference. Trace Metals in Water Supplies: Occurrence, Significance and Control, University Bulletin, no. 71, Univ. of Illinois, 1974. McNeill, L.S. and Edwards, M.A. “Soluble Arsenic Removal at Water Treatment Plants,” J.WWA, 1995, 105-113. Vickers, J.C.; Braghetta, A. and Hawkins, R.A. “Bench Scale Evalu- ation of Microfiltration for Removal of Particles and Natural Organic Matters,” Proceeding Membrane Technology Conference, Feb 23-26, 1997, New Orleans, LA. Edward, M.A. “Chemistry of Arsenic Removal During Coagulation and Fe-Mn Oxidation,” J.AWWA, 1994, pp 64-77. Dinesh, M. and Charles, U. P. Jr., “Arsenic removal from water/waste- water using adsorbents–A critical review,” J. Haz. Mat., 2007, 142, 1-53. Petruševski, B. and Slokar, Y.M. 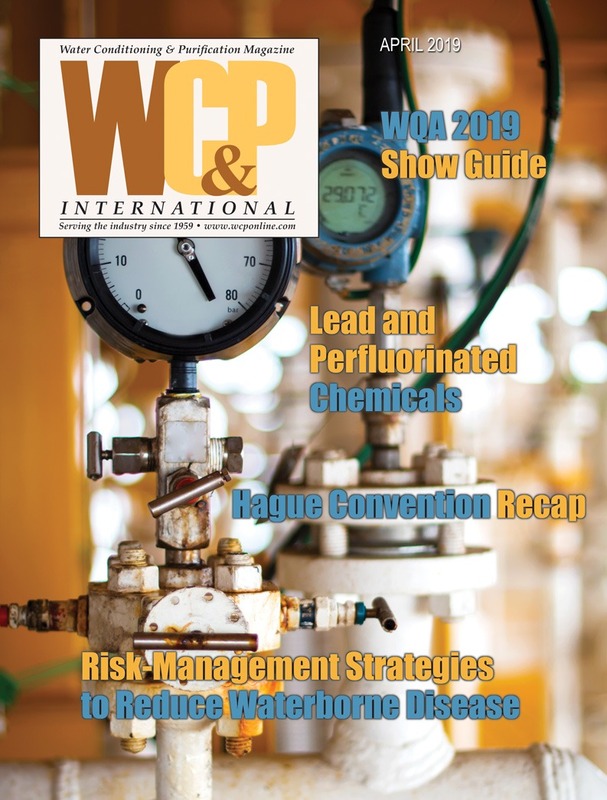 “Arsenic treatment by IHE-ADART: from waste to highly effective adsorbent,” Water21, IWA Publishing, 2013, December issue, 48-49. Dr. Lee D. Wilson completed a PhD in physical chemistry from the University of Saskatchewan (1998) and was an NSERC (The Natural Sciences and Engineering Research Council of Canada) Visiting Fellow at the National Research Council of Canada at the Steacie Institute for Molecular Sciences. Currently anAssociate Professor of chemistry at the University of Saskatchewan and on the Advisory Board of NanoStruck Technologies, Wilson has led the development of a nano-chitosan copo- lymer powder, a derivative of crustacean shells being used exclusively by NanoStruck Technologies for its water remediation technologies. NanoStruck Technologies Inc. (www.nanostruck.com) is a Canadian company with a suite of technologies that remove molecular-sized par- ticles. 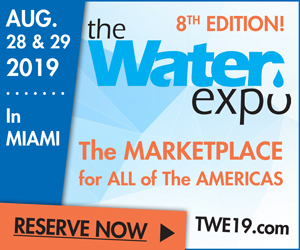 Through propriety additions to conventional technologies and insertion of disruptive organic copolymers, the company’s patented technologies provide environmentally safe solutions for water purification and precious-metal recovery. NanoStruck owns the exclusive rights by license to manufacture, market, distribute and sell the nano-biotechnology worldwide, formulated at the University of Saskatchewan.